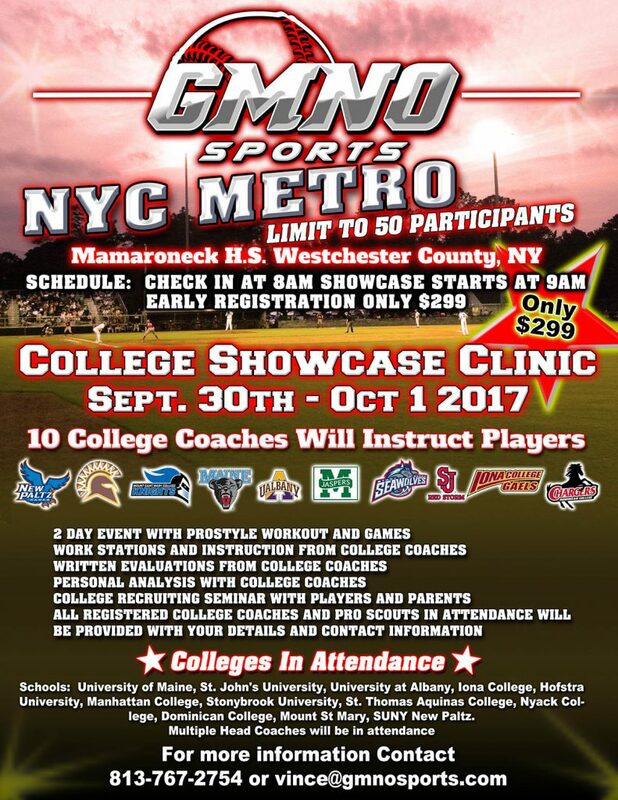 Baseball players interested in participating in the 2017 Get My Name Out College Baseball Showcase can register now. The event, scheduled for Saturday, Sept. 30th, and Sunday, Oct. 1st, will be open only to the first 50 players who sign up. Players will work out with and receive instruction from coaches representing 10 colleges — including several Division I programs.